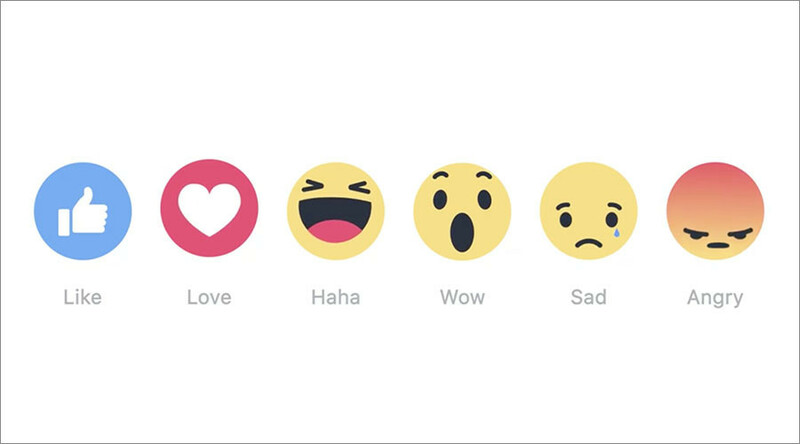 Facebook has finally launched a long-awaited diversification of emotional reactions for posts, photos, and all the other nonsense we waste our time on. However, it may have been too little, too late, as the world’s underwhelming response of “meh, who cares” isn’t even one of the options. Alongside the always-cheery – and sometimes-inappropriate – “Like” button, users can express love, surprise, and even anger, like, for instance, when someone posts how little Facebook pays in corporate income taxes. Facebook said in a Wednesday morning blog post that the launch was intended to help people share their “reaction to a post in a quick and easy way.” The official reaction emojis are described by Facebook as “Like, Love, Haha, Wow, Sad, or Angry.” Given that this is the world wide web of trolls, expect to see a lot of that last one. The social media company had been toying with the idea since last year. The buttons will be no surprise to users in Spain and Ireland, who have served as guinea pigs for the new emoticons since October. Phone users can hold down the Like button to see the option for other reactions. Desktop users will have to hover over the like button to view them. Non-Facebook users can still express their emotions any way they please. Facebook said the “reaction” options were developed after “conducting global research including focus groups and surveys”.